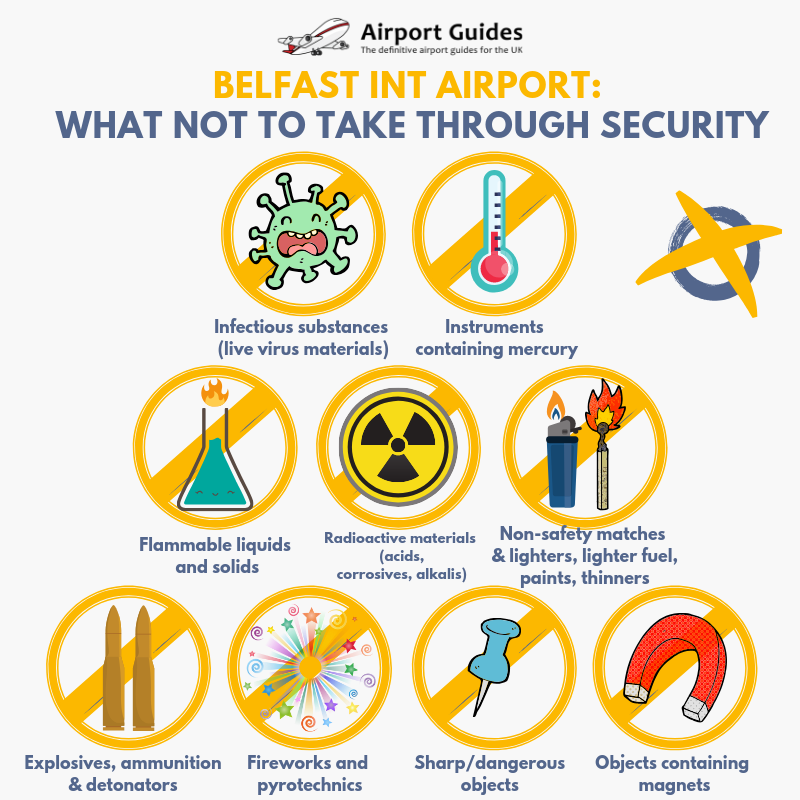 Home » News » The weird and wonderful items found in Belfast International Airport lost property! We’ve all done it; we’ve had something lurking in our hand luggage that might not quite meet the security specifications of an airport. “There’s no trees on the plane, so I don’t know what they are pruning,” In response to someone trying to bring a tree saw through security in their hand luggage. So, what does the passenger do when security find a prohibited item? This was just one of the more obscure items. More often than not duty free alcohol and large toiletry bottles are the main culprits that breach regulations. “We have people turning up here with a litre of Vodka and we will say to them ‘you can’t take this through’. As a rule at the airport, alcohol is not stored unless the owner comes back to collect it. Instead it is poured down the drain much like many of the open bottles of perfume, cream, toothpaste and deodorant that are over the allowed 100ml size. Does the airport keep hold of lost property? “Anything we are storing, there’s a charge involved and some people don’t bother coming back for it,” he continued. “You can’t take it with you, so it’s a choice of either throwing it in the bin, not flying or we will hold it for you – but it needs to be something of some value. “Maybe it was their dad’s penknife and they forgot it was in the bag, so we try to help,” he said. Even though some of the shelf-sitting items do sound quite hilarious; tins of tuna, high-end gooseberry jams & even an abandoned suitcase full of garlic cloves heading to Poland, a rise in passenger numbers at Belfast International Airport to 6 million people is another reason not to carry prohibited items through security; you’ll just be adding to the waiting time for not only you but everyone else…and no-one wants to be that guy. It’s not unusual for people to pack something wild as a diversionary tactic, so security “have to check everything out”, Rod Haskins explained. We’re not sure what he meant by a diversionary tactic, so we’ll leave that up to your imagination. Just don’t test the theory by taking it to the airport. Want to keep up to date with all of the Belfast Int. Airport information? Follow @Airport_Guides on Twitter and on Facebook for all the news you need to see.